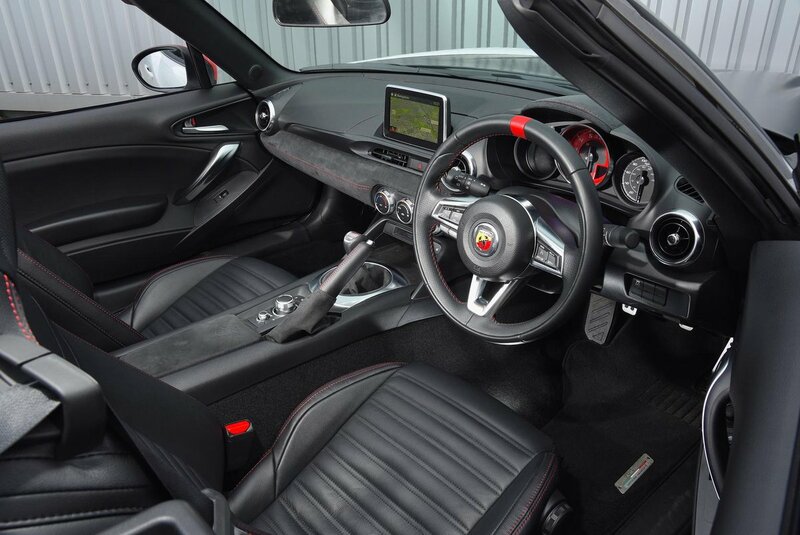 Abarth 124 Spider Interior, Sat Nav, Dashboard | What Car? 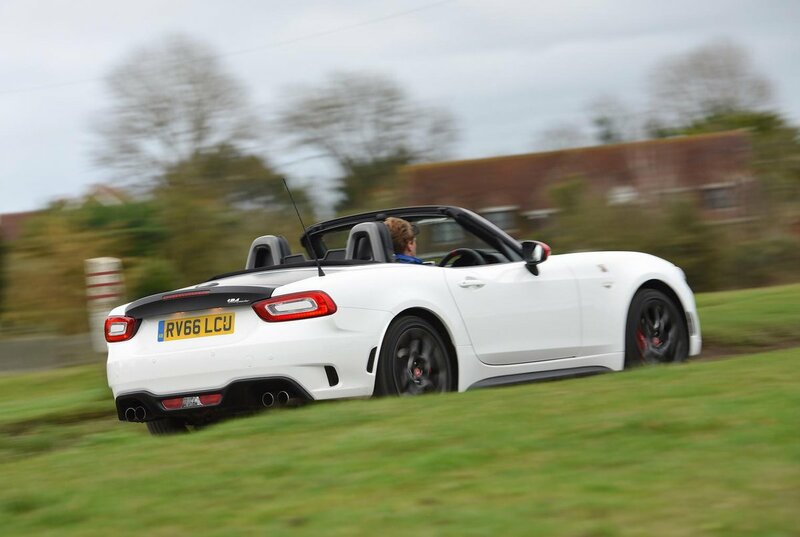 The interior design is identical to that of the Mazda MX-5 and Fiat 124 Spider, aside from some different finishes. However, that means all-round visibility is very good and head room just about acceptable for most six-footers. Dropping (or raising) the manual roof is a moment’s work, and can be done without leaving your seat. And although the range of seat and steering wheel adjustment is limited, most people will find it easy enough to get comfortable. Clear instrumentation is viewed through the chunky steering wheel, with a prominent rev counter taking centre stage. Meanwhile, the infotainment system is easy to use and responsive to both touchscreen inputs and a rotary controller, even though the sat-nav maps can be a little slow to load. 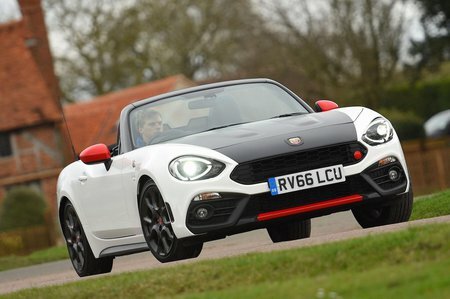 The upper swathes of the interior are coated in tactile materials, but you'll find scratchy plastics if you look further down - something that's acceptable in the Mazda and Fiat, but a little disappointing here given the Abarth's higher price.